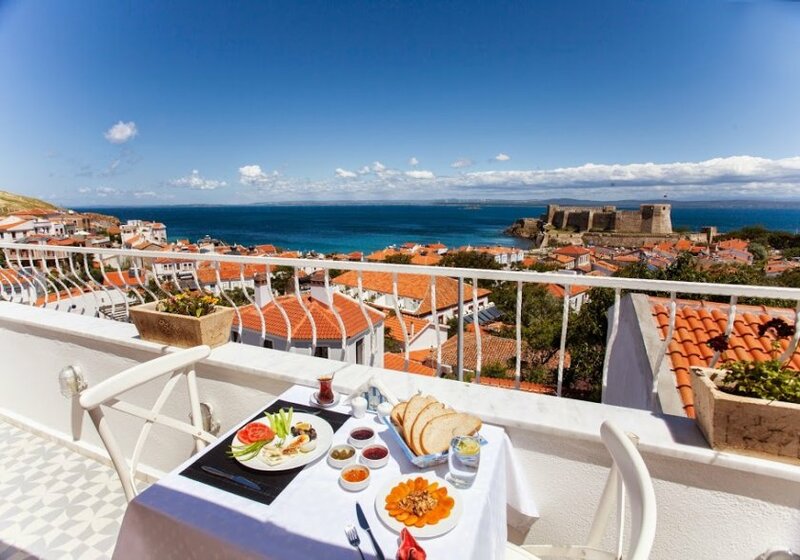 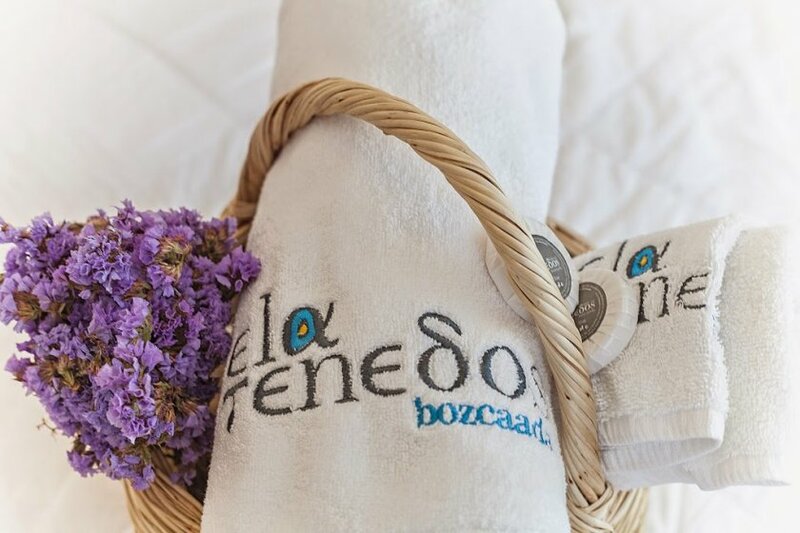 Set on a hill overlooking Bozcaada Castle, Ela Tenedos Hotel is only a 3-minute walk away from the centre of the island. 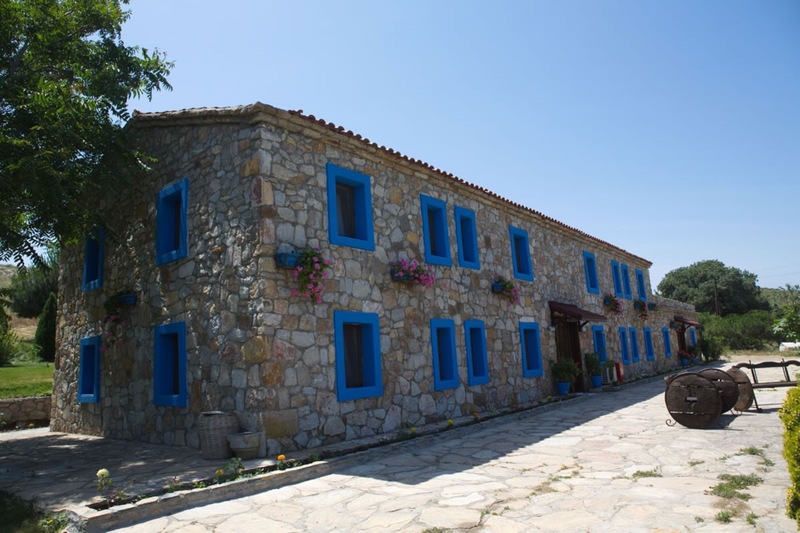 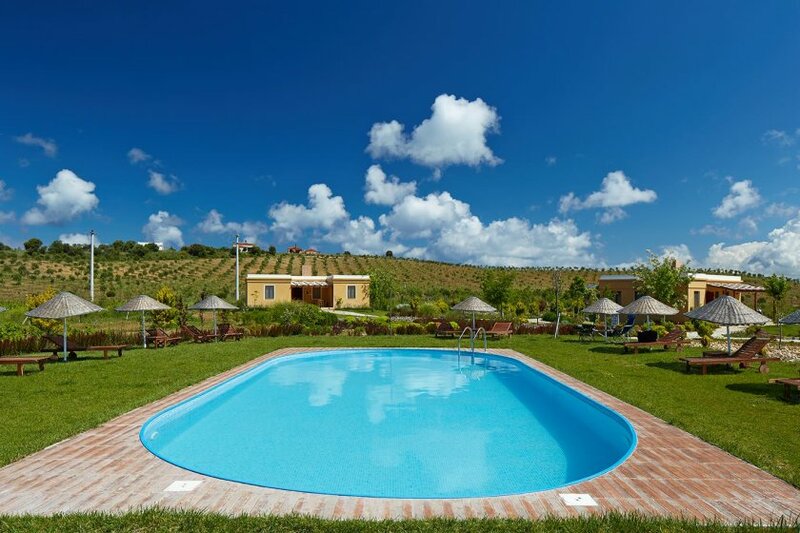 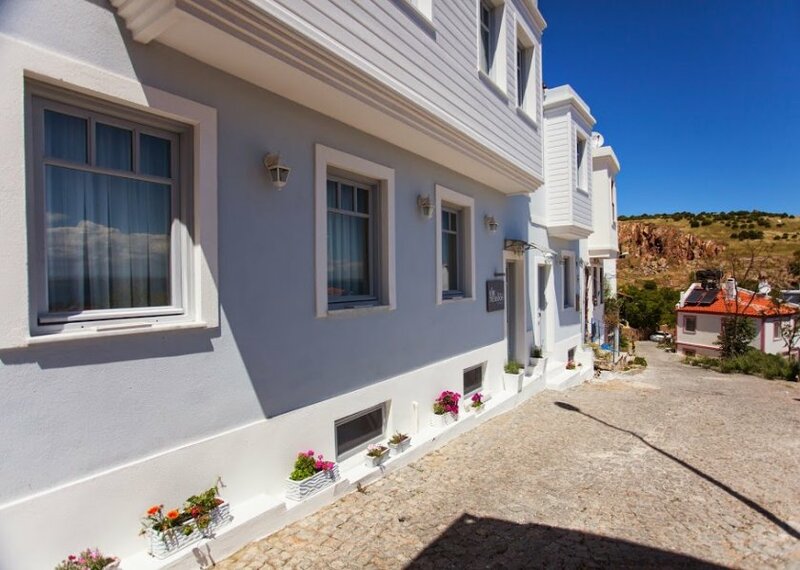 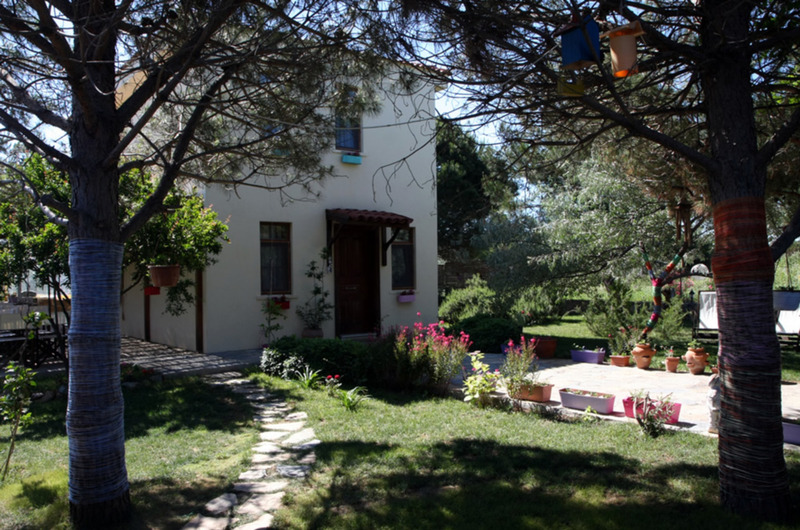 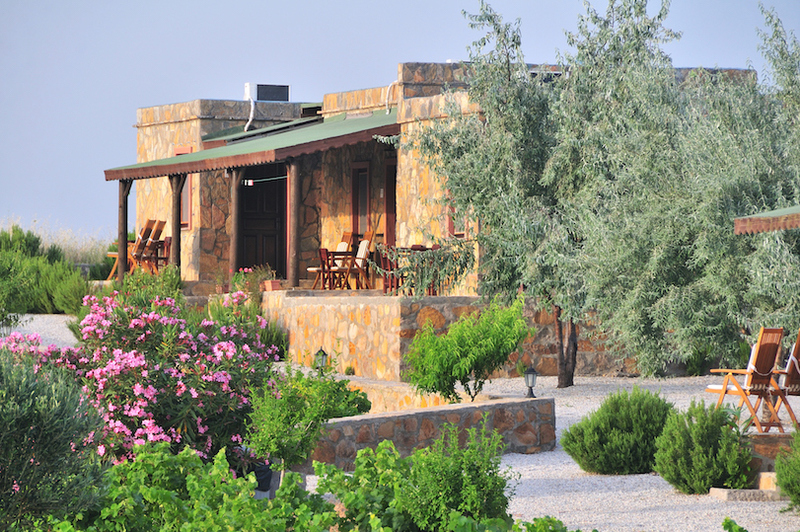 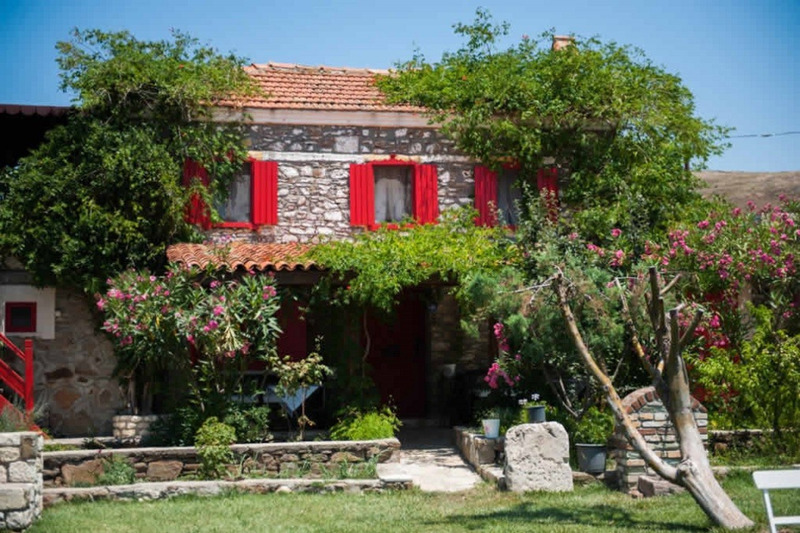 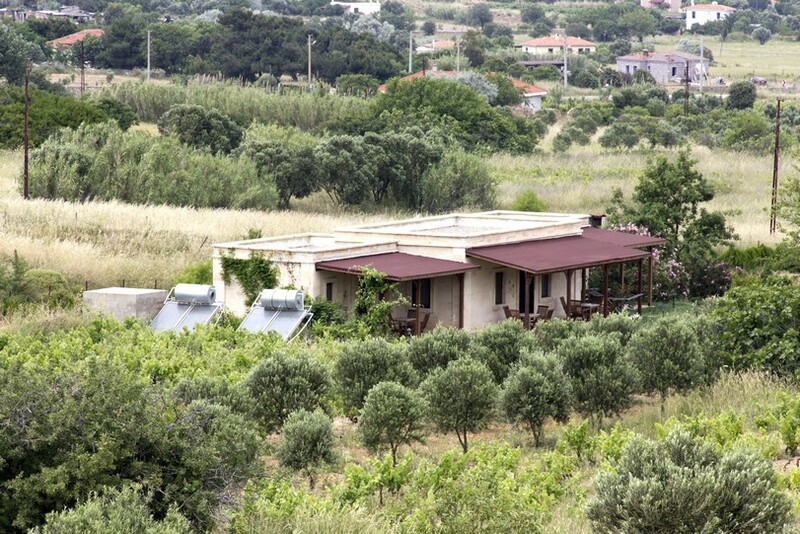 It features a charming terrace with panoramic sea views. 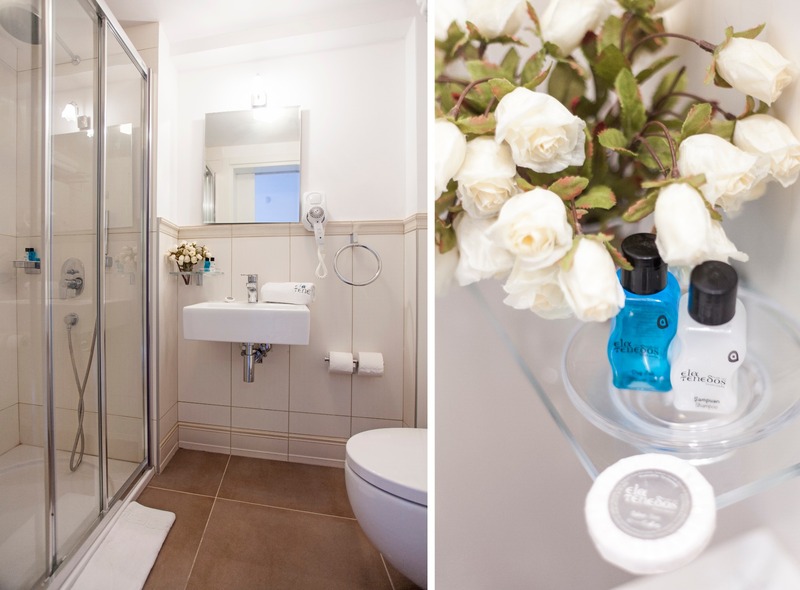 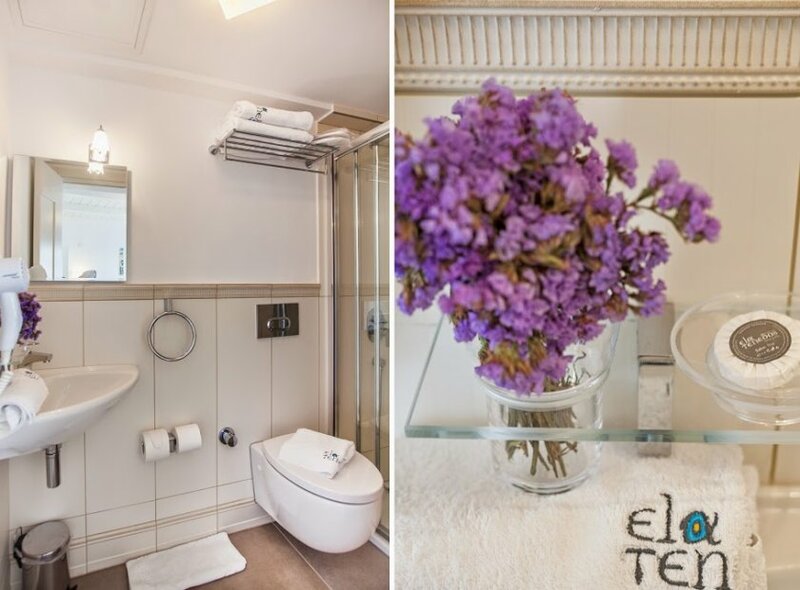 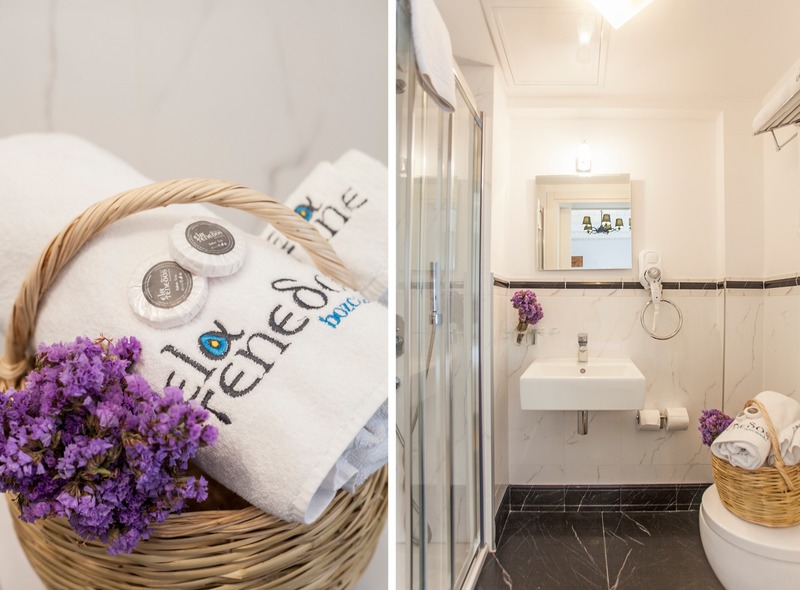 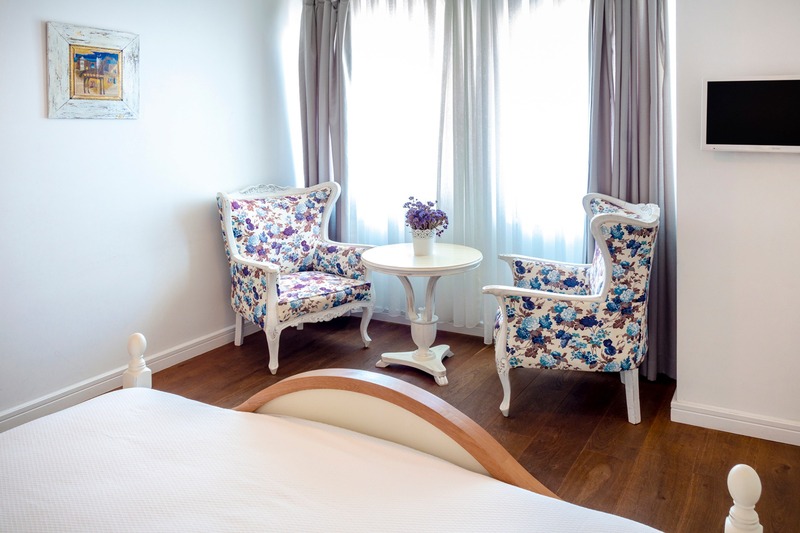 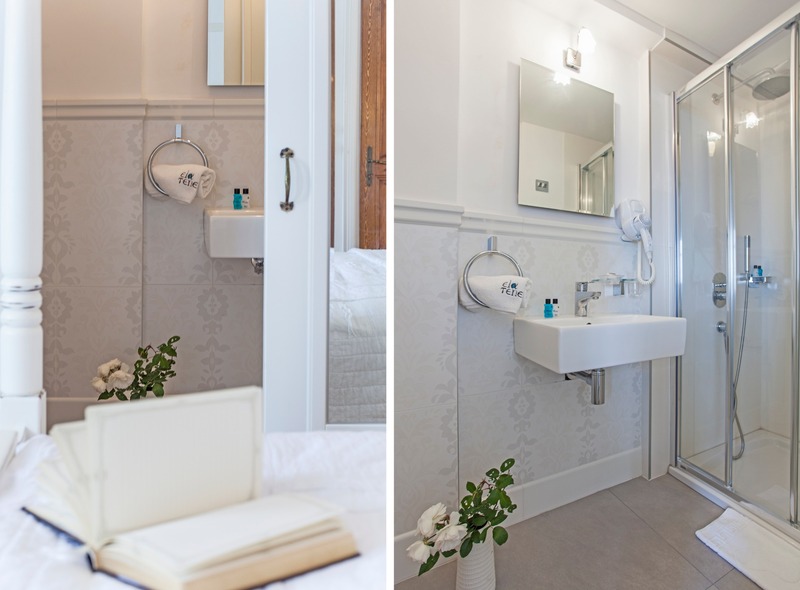 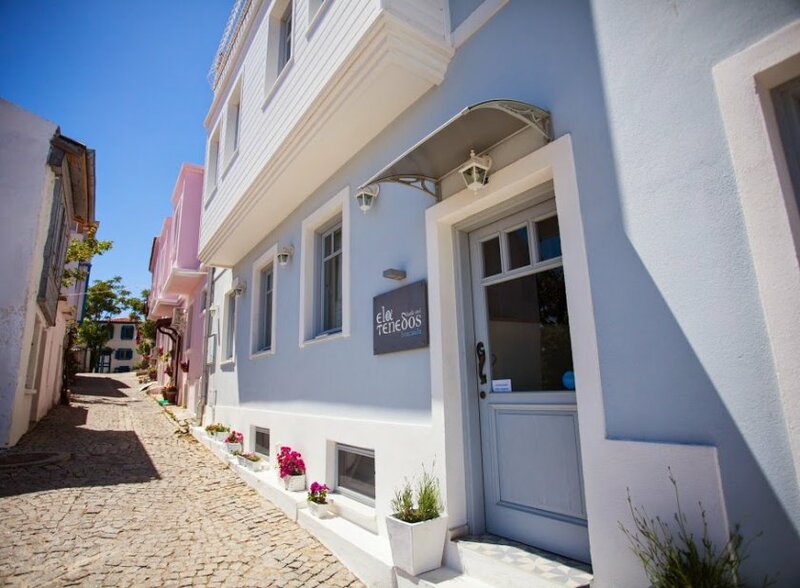 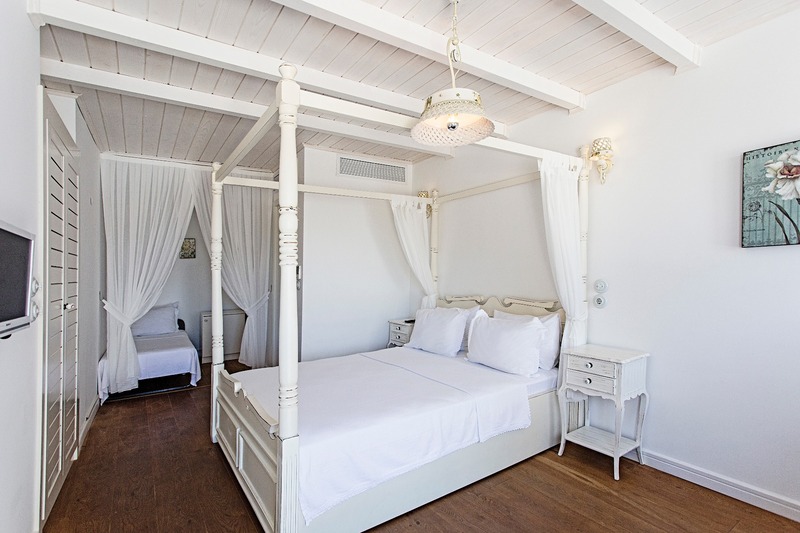 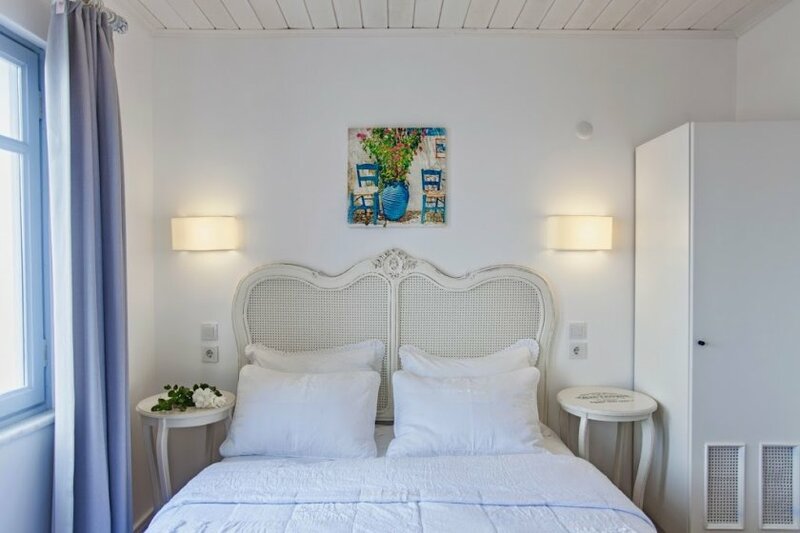 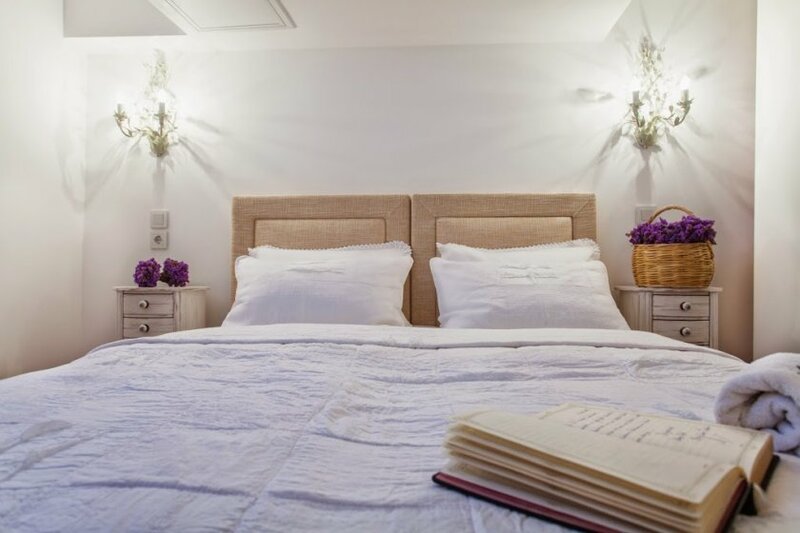 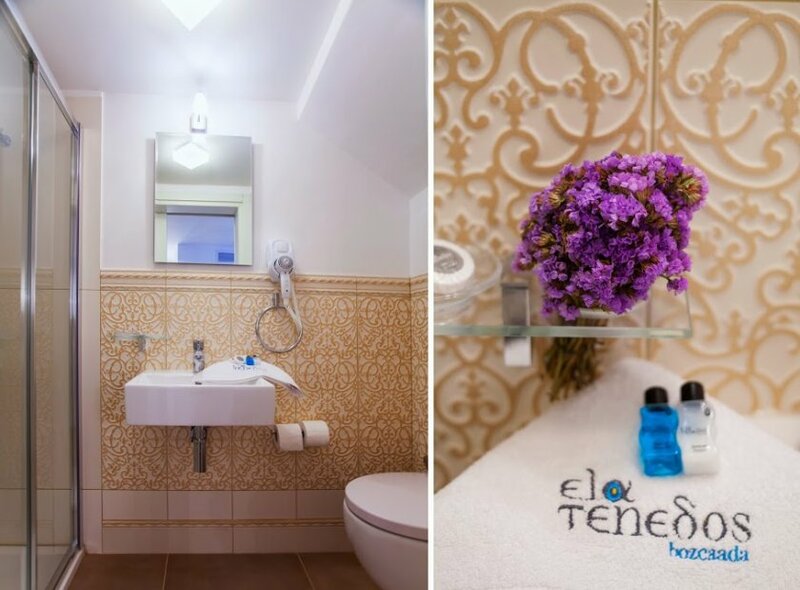 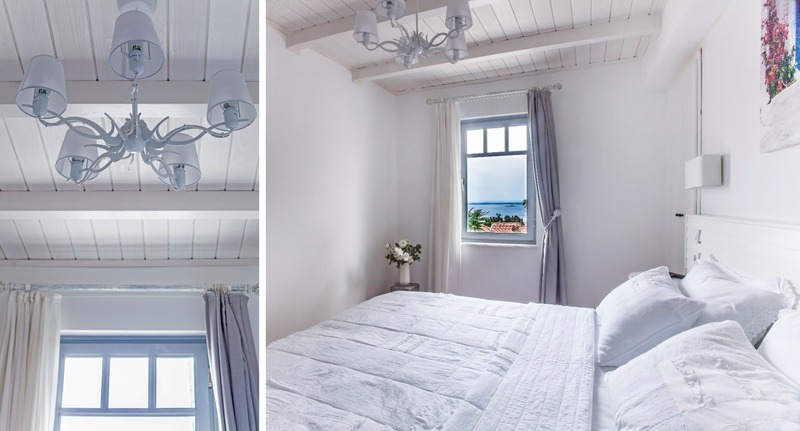 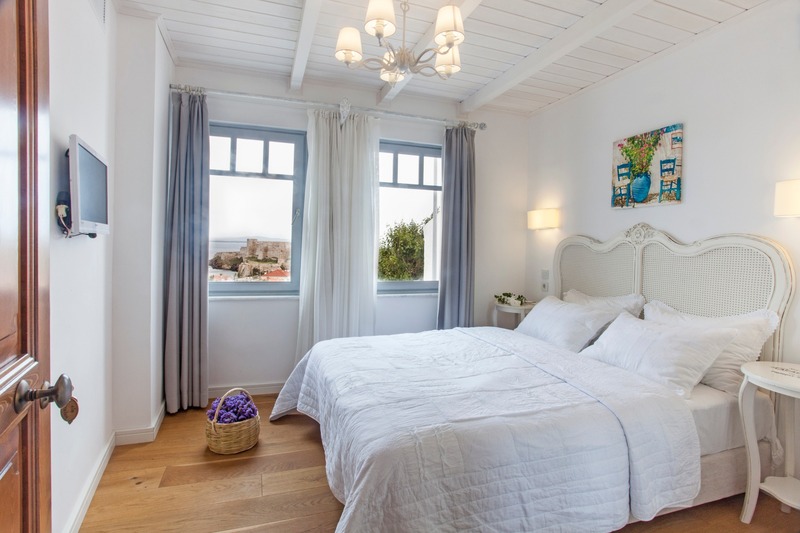 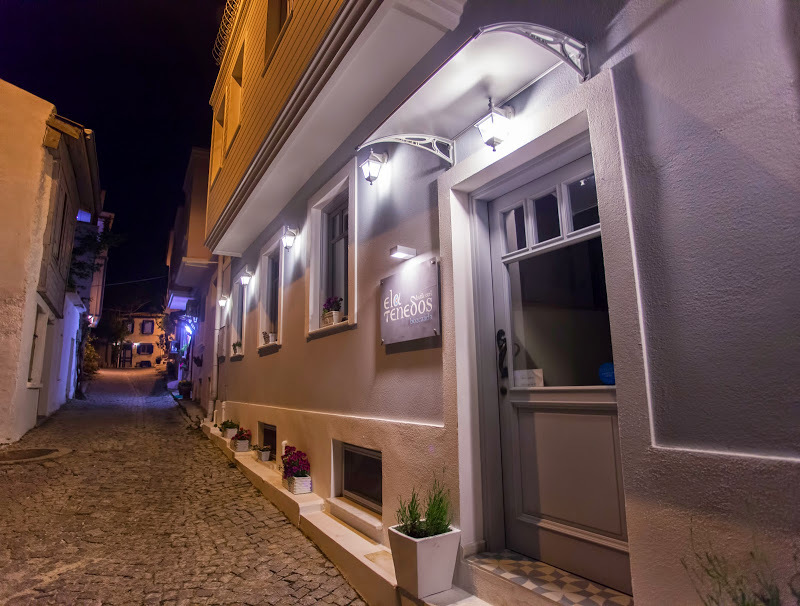 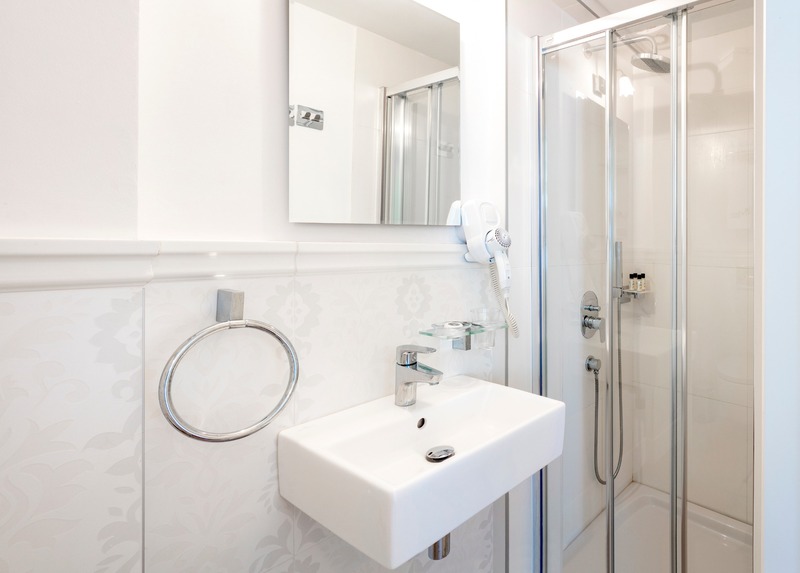 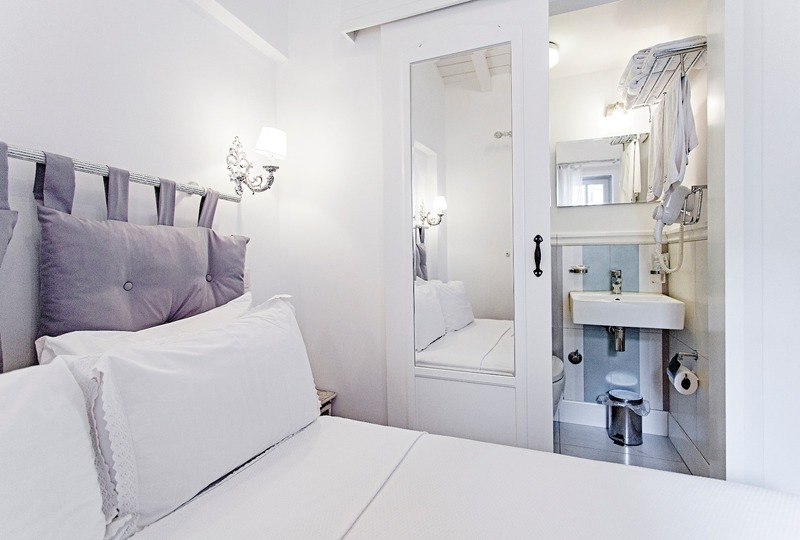 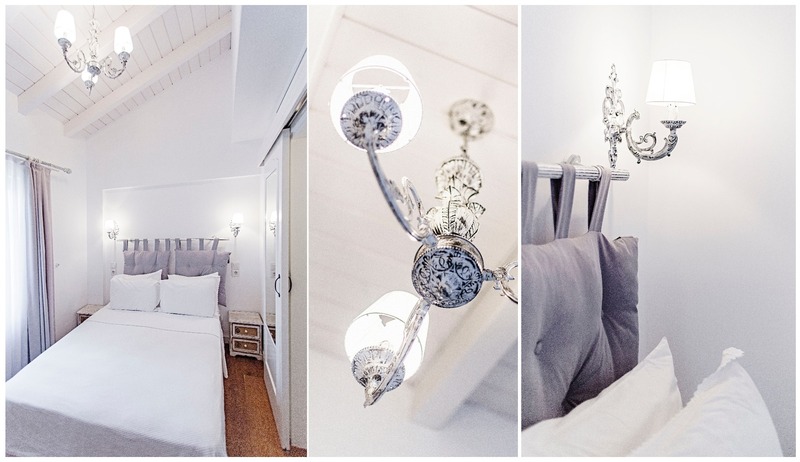 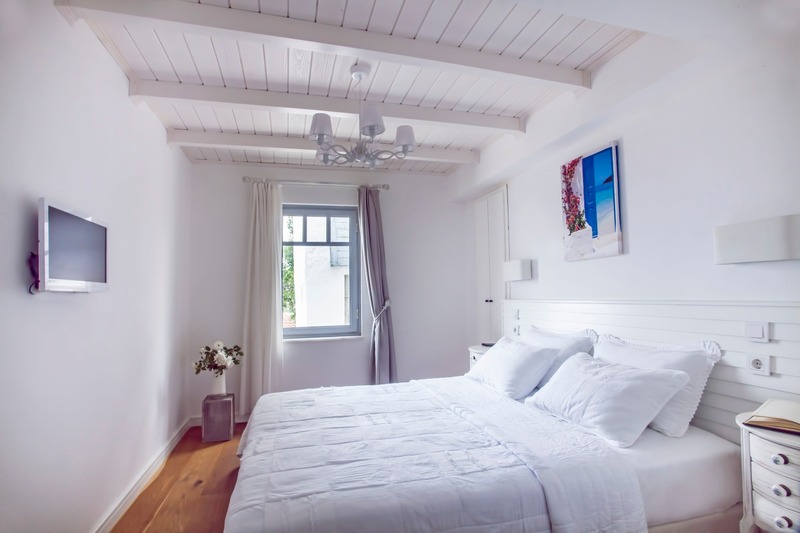 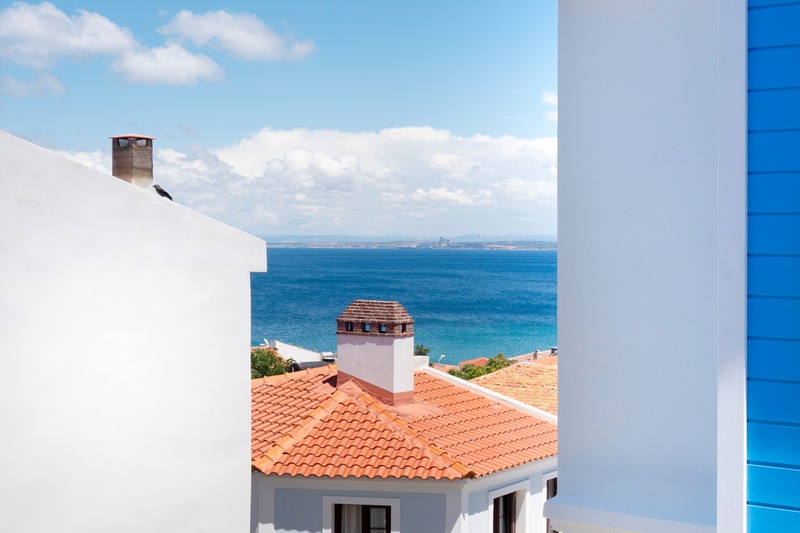 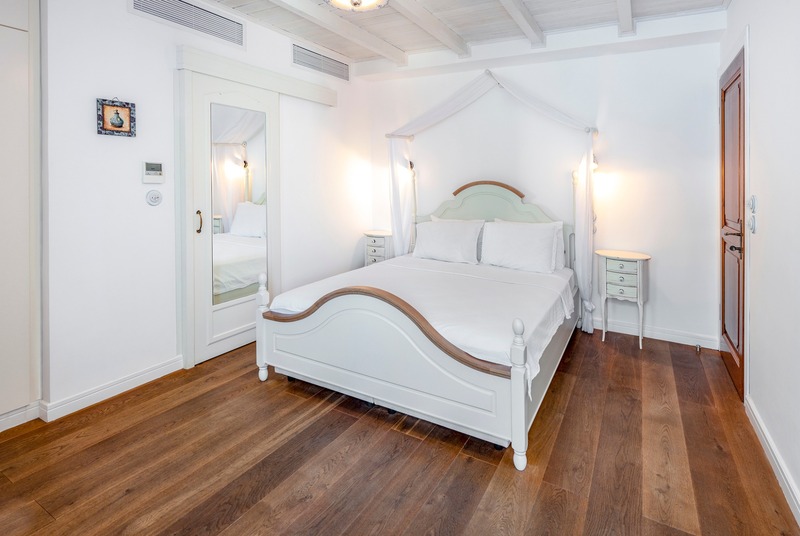 Free Wi-Fi is available throughout the premises.The white rooms at Hotel Ela Tenedos are decorated in a simple style with parquet floors and ceilings. 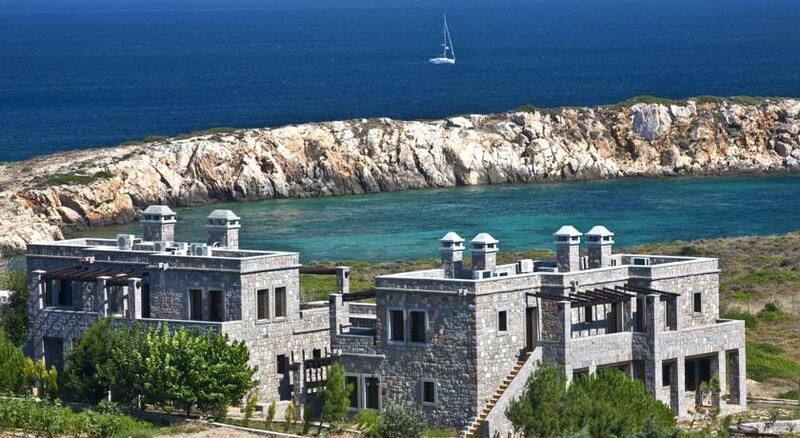 They offer sea and castle views. 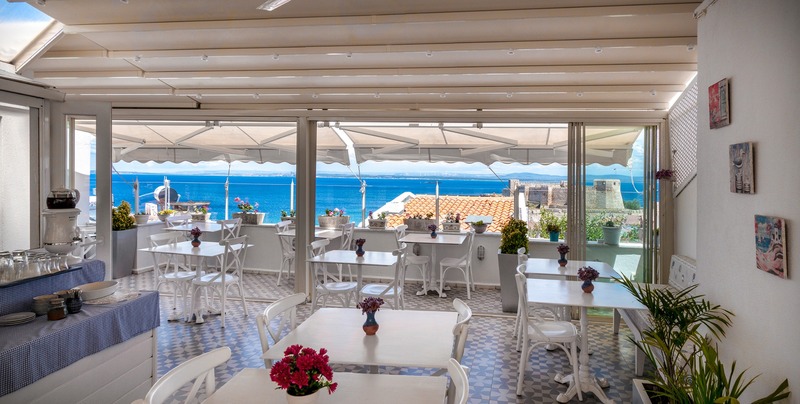 Each unit comes with modern amenities such as a minibar, flat-screen TV with satellite channels, safety deposit box and air conditioning.Daily breakfast with homemade jams, olives grown on the island and locally produced cheese is served buffet style on the terrace. 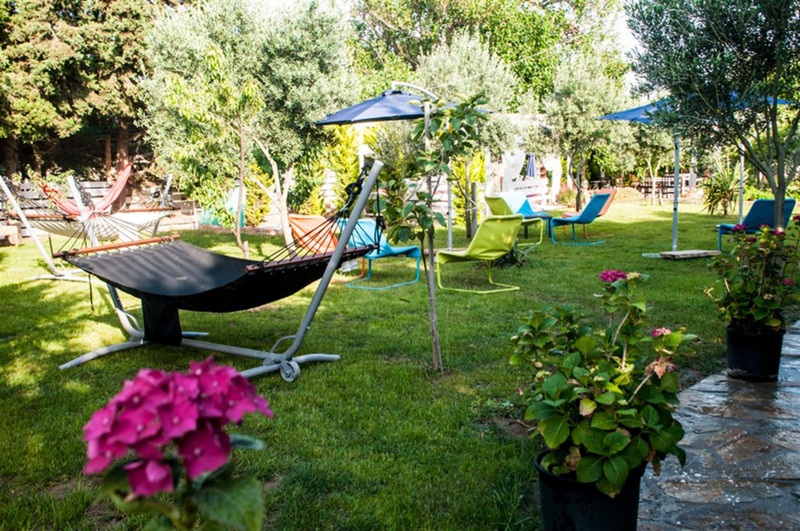 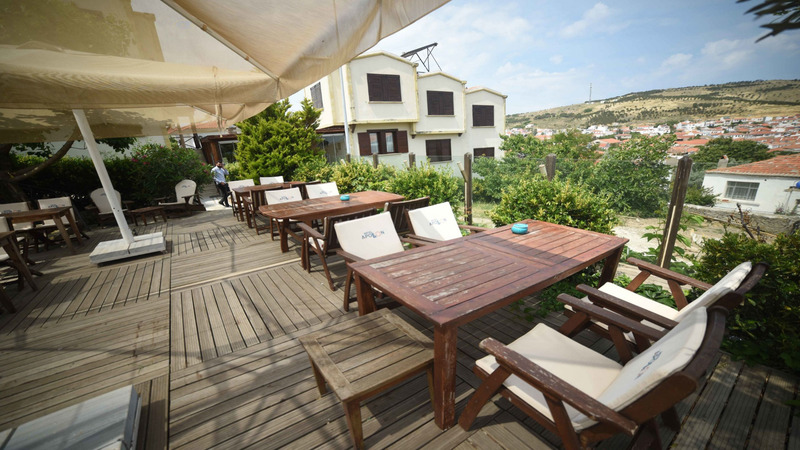 The Greek part of the island provides numerous other dining options as well.Ayazma Beach is 7 km from the property and buses are available at the centre of Bozcaada. 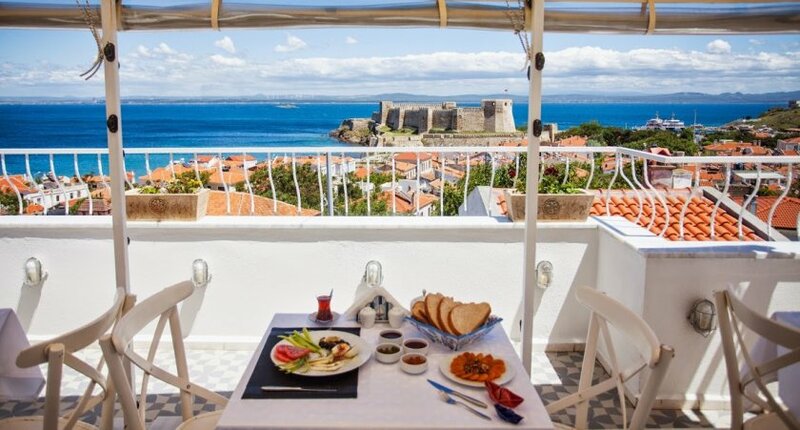 Bozcaada Castle is a 5 minutes’ walk away. 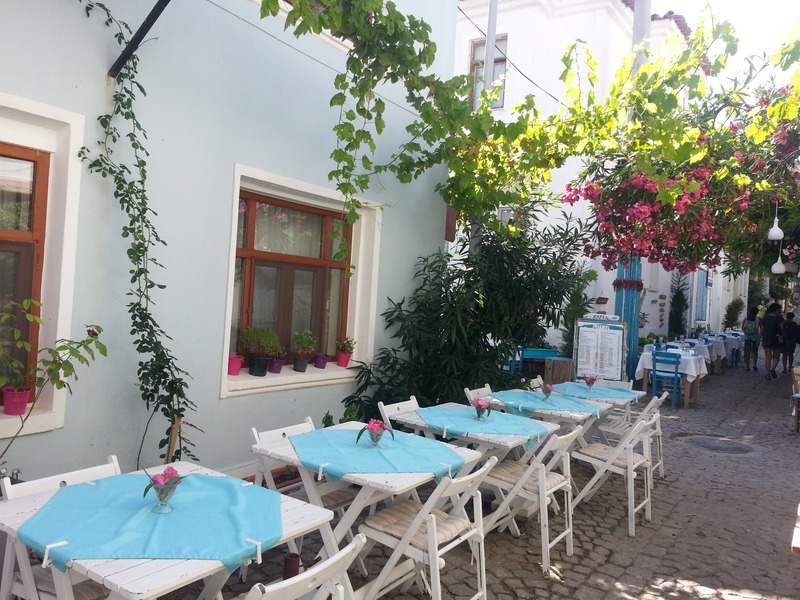 The ferry port is 500 metres away. 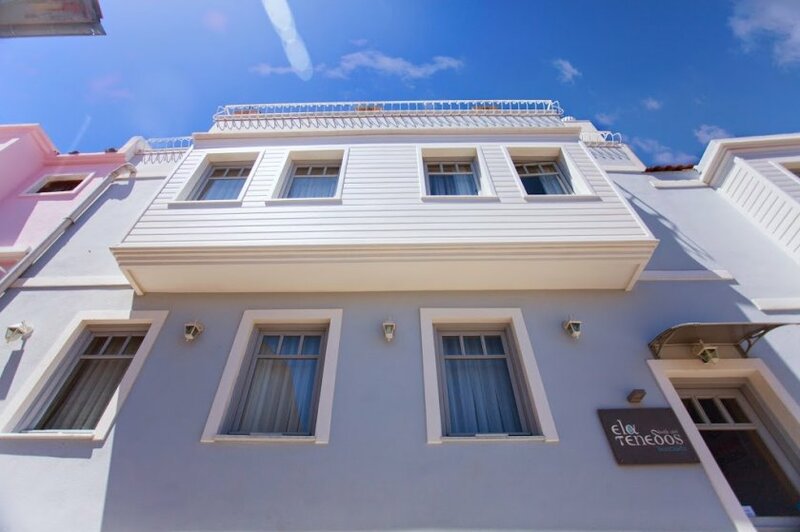 Düşünün ki bir otel size her sabah kahvalti için başka baska ev yapımı ikramlar sunuyor. 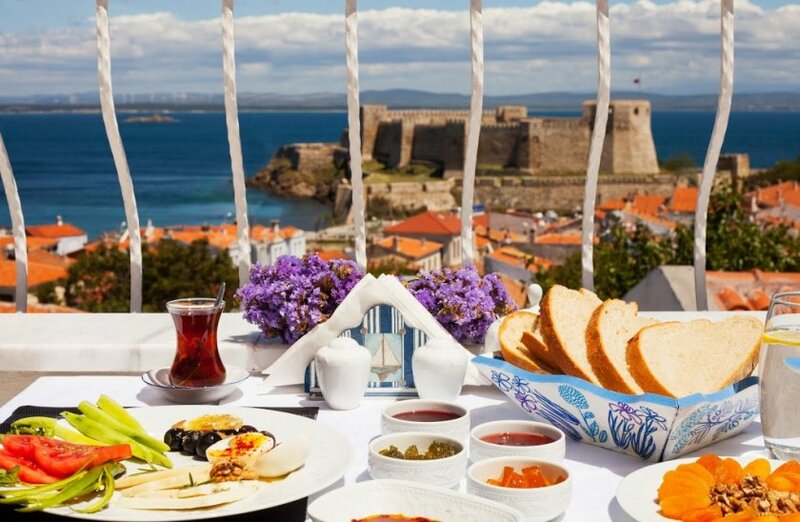 Muazzam bi manzarada terasta keyif yapiyorsunuz. 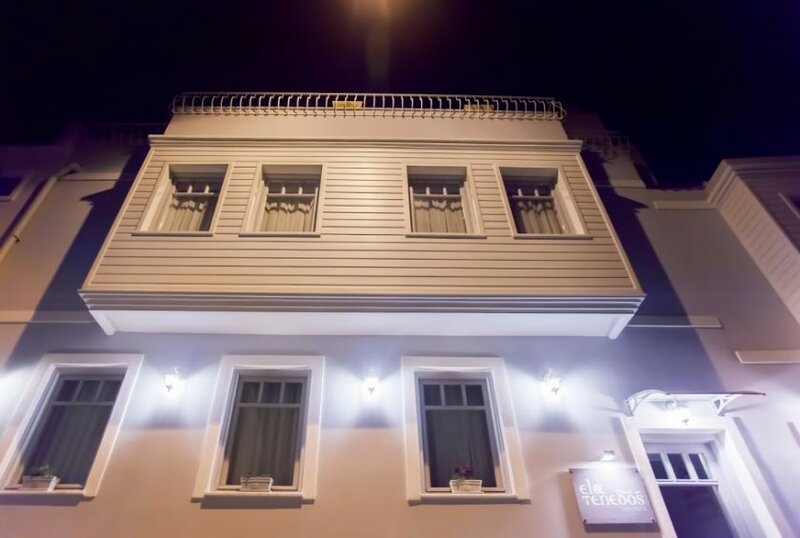 Yine gitsem yine orada kalırım. 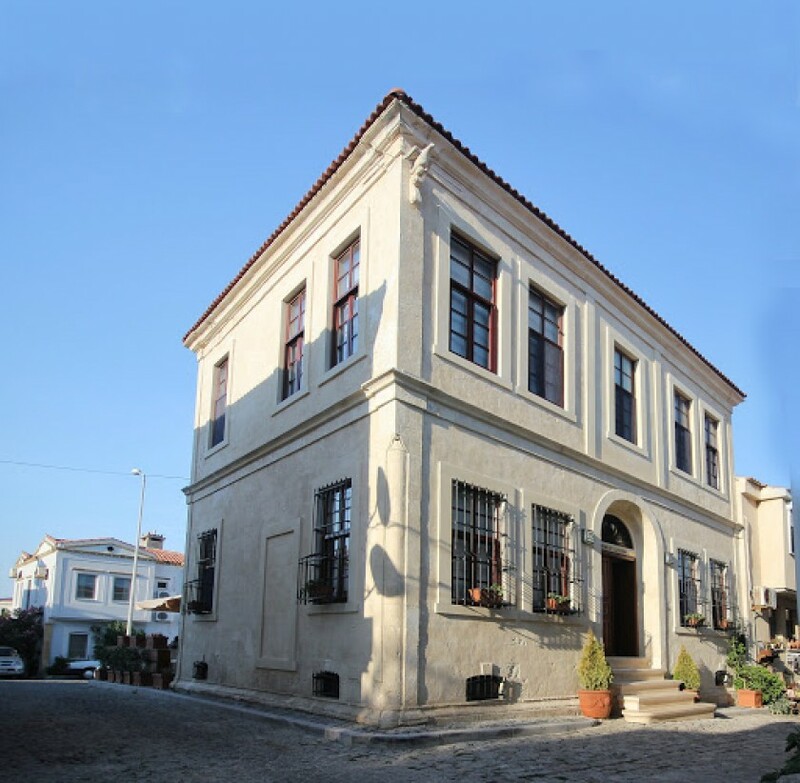 Hakan bey,Sibel hanım ve çalışanlarına çok teşekkürler herşey mükemmeldi evimizde gibi hissettik keyifli günler geçirdik. 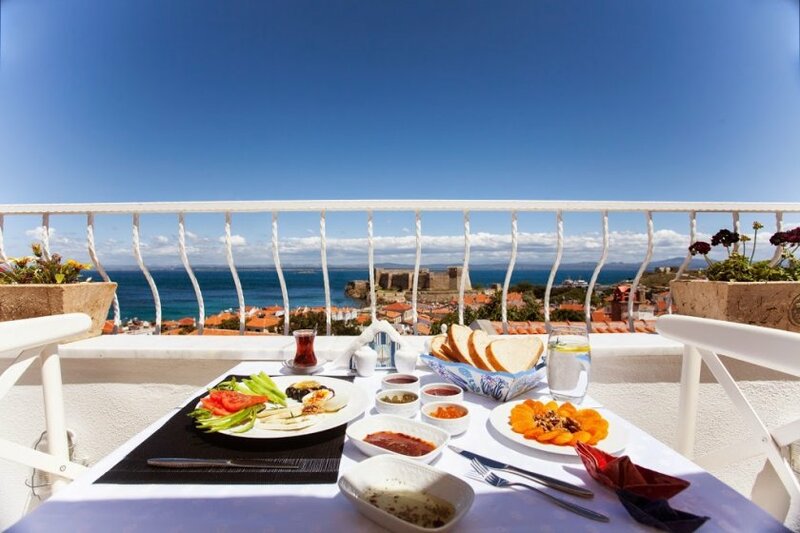 Huzurlu, konforlu, manzaralı, bembeyaz bir ada oteli.